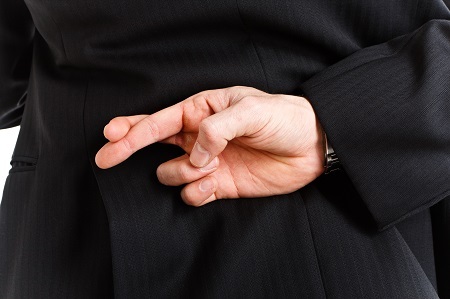 What’s Backing Up Your IT Service Provider’s Promises? There are plenty of things to worry about with business insurance – what is covered, whether the deductible is affordable, and what you must do (and avoid doing) to keep the policy in force. One thing you generally don’t have to worry about is if the insurance company is keeping enough money on hand to pay claims. That’s because the government requires that they do, and audits them to make sure that they do. Governments even maintain reserve funds in case an insurance company does somehow go bankrupt. Unfortunately for businesses, governments don’t audit the work of IT service providers. It’s relatively easy for a provider to identify the technology risks facing any company and offer to mitigate those risks. They may offer to do this work at a rate that’s far below the industry average. In fact, 90% of their customers may be pleased with what they’re getting from this provider – affordable rates, no interruptions, and a willingness to quote any project that comes along during the time of the contract. The problem is that the 90% who are pleased are often the ones who didn’t get unlucky. Their office didn’t get flooded, their server didn’t have a data loss, and nobody tried to breach their network. It’s not until you do get unlucky that you really figure out whether your provider was doing what they claimed in exchange for your monthly payment. The drives they claimed to back up – can they restore the data? The network they claimed to secure – did it repel an attack? Do they have the knowledge and staffing to deal with unexpected outages quickly? A great service provider measures themselves by the service level they provide to clients who find themselves in the least fortunate situations. It’s easy for an insurance company to impress you until you file a claim. And it’s easy for a managed IT service provider to impress you until you really need their help. That’s why the best references in either case are the companies that faced exactly the types of challenges they were paying their providers to help them resolve. When it comes to technology providers, there’s nobody making sure that you’re getting what you’re paying for except yourself. It’s worth the time to make sure that you are! To learn how WingSwept can provide your company well-founded peace of mind, call us at 919-779-0954 or email us at Team_WingSwept@WingSwept.com.